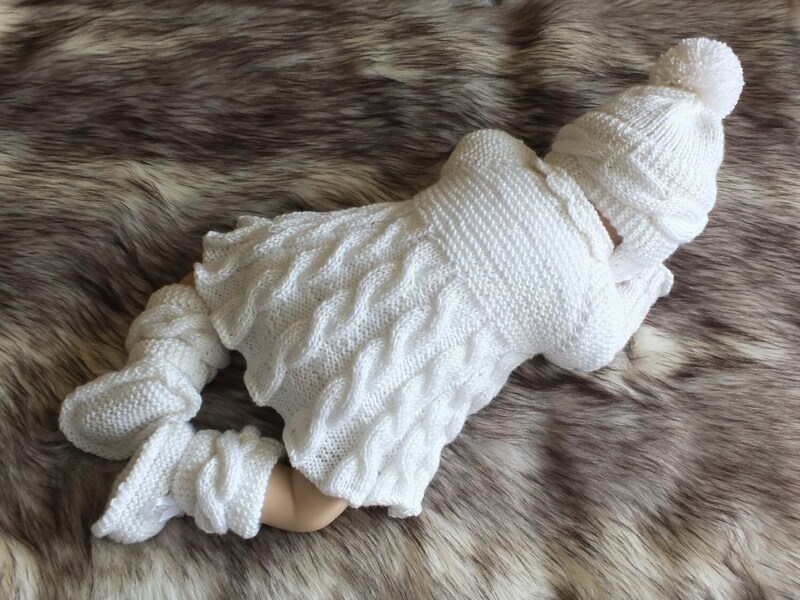 This white warm and soft baby girl coming home outfit are made from soft baby yarn. 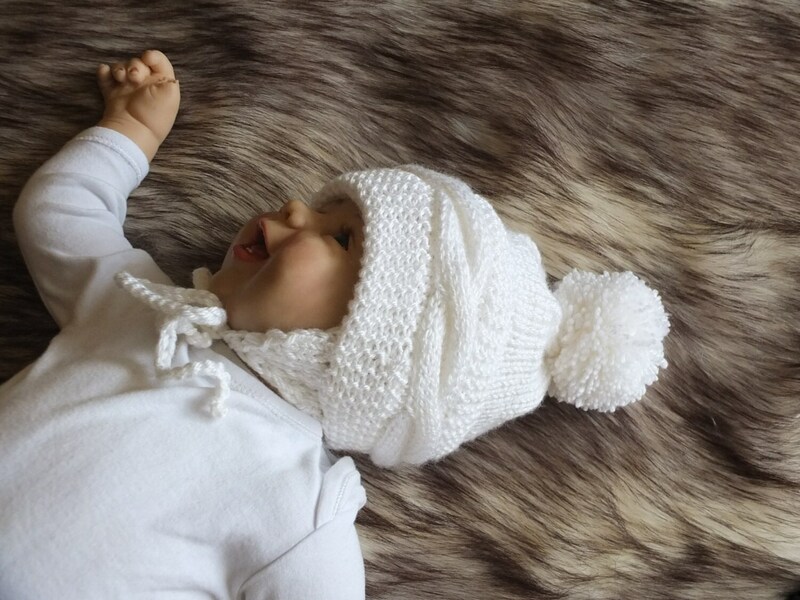 This is a very special yarn for newborn babies. Perfect for their delicate skin. 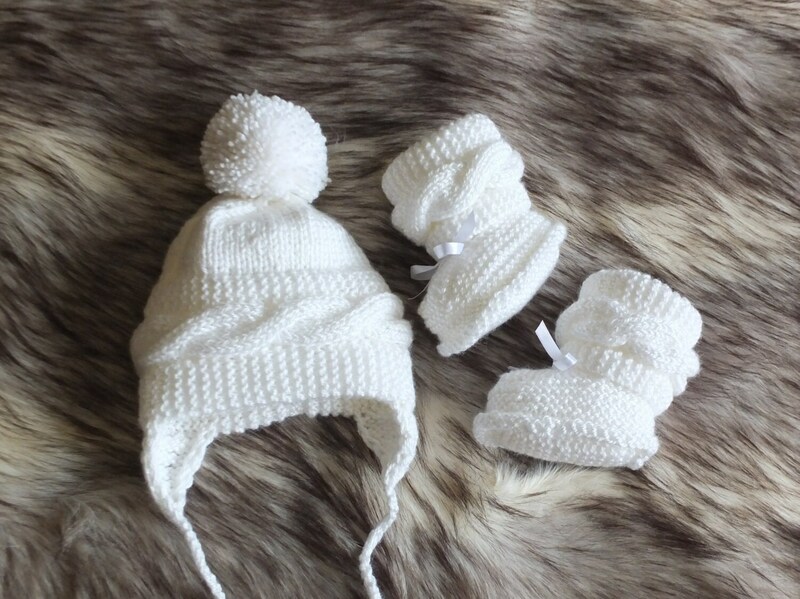 It is so adorable and thanks to the nature of the yarn, it is very flexible. This set would be perfect for a Baby Shower gift, a Christening or Hospital gift and it also makes a great family heirloom to pass down from one generation to the next. 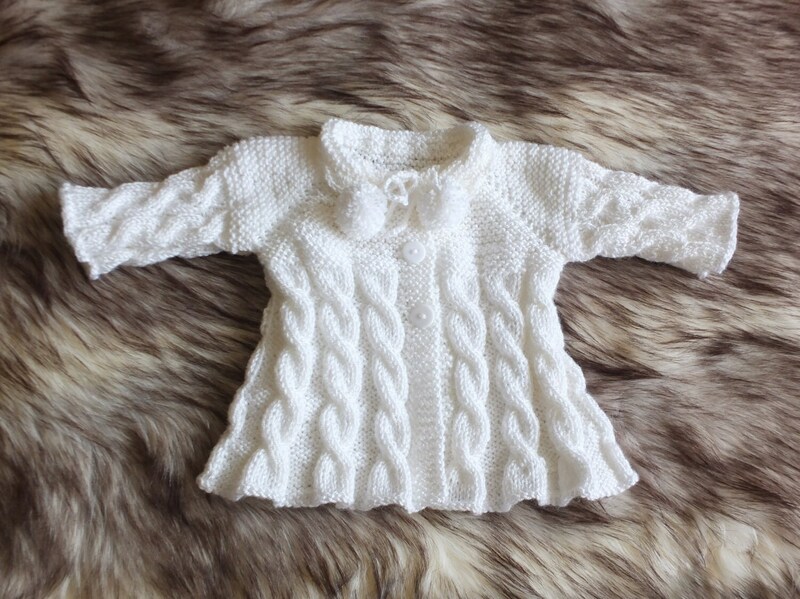 This hand knit baby outfit will be MADE TO ORDER. Please see the shop announcement for the current turnaround time. Care Instructions: Machine washable & dryable.